No reason for drawing Black Panther, just wanted to! :) Thanks for lookin'! One of my favorite characters, drawn by one of my favorite artists. Great job, Chris! You're killing it on Daredevil, by the way! I look forward to reading it every month! What great looking Black Panther! Amazing! I'd love to see a BP mag drawn by Chris Samnee & written by Christopher Yost or Jonathan Hickman. 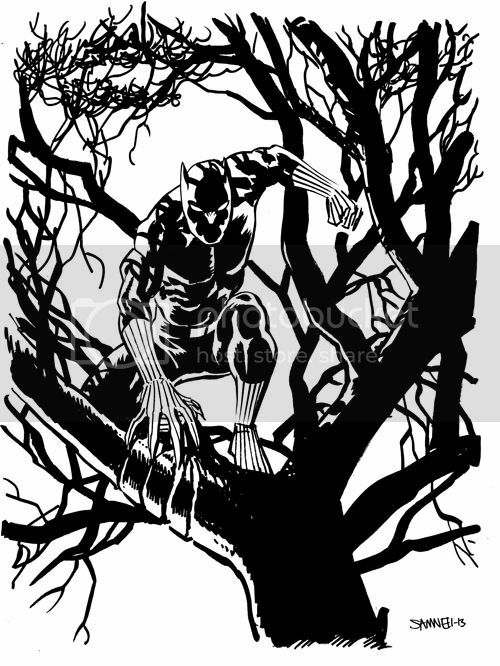 Is there any chance we might see Black Panther pop up in the pages of Daredevil Chris? Rocketeer Sketch Covers (Pt. 2)! Update to start the year!